On to the product itself. It comes in two shades: Bronze Light for fair to medium skin tones and Luminous Bronze for deeper skin tones. I chose Bronze Light and I love it. As you would expect from Hourglass, the packaging is sturdy and very luxe. It contains 11 grammes of product - 11 grammes of absolute beauty! 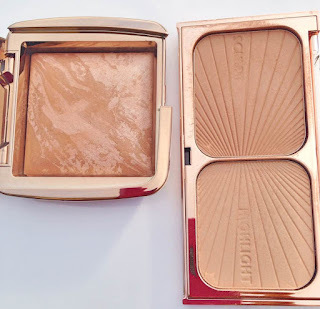 As with the blushes, the bronzer is mixed with ambient lighting powder and each bronzer is individual and has a different amount of highlight and bronzer in it. My one seems to be pretty evenly mixed. The texture is soft & buttery - really beautiful to work with and when swatched, it doesn't look very deep but don't be fooled by that. A gentle hand is needed to apply a lightly tanned look to the face, which I love because I never use fake tan on my face. It can also be used for contour but I haven't used it for that yet because I have other contour products that I swear by. It doesn't give that muddy look that some bronzers can and basically leaves me looking like I have glowy, healthy, luminous skin & am very healthy! I'll take that! 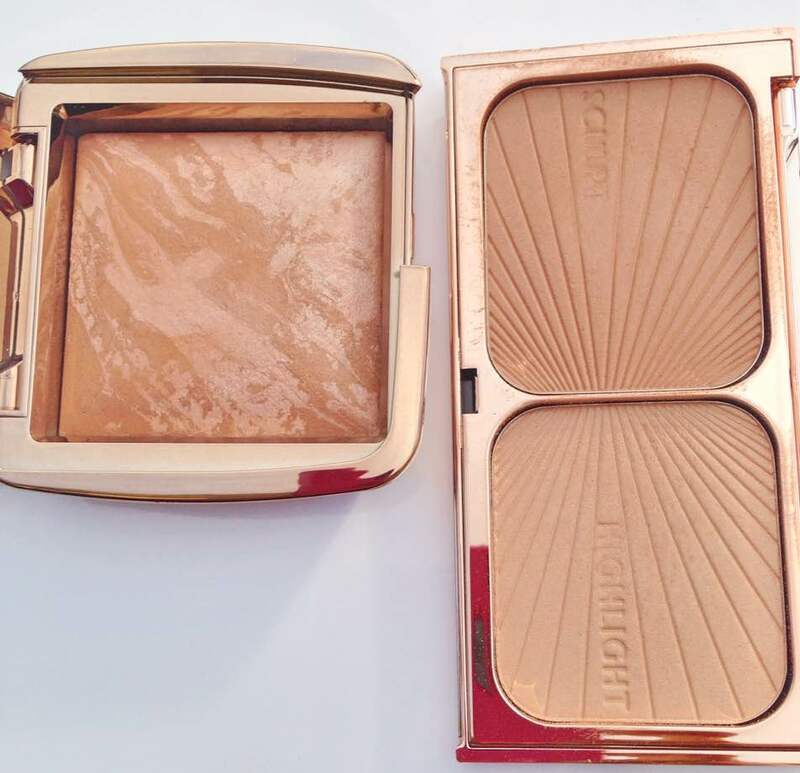 It is very similar to Charlotte Tilbury's Filmstar Bronze and Glow - very similar! Both the bronzer and the highlighter are almost exactly the same shade and the texture is the same too - both are beauties! I really don't think you need both of these in your collection but I would find it difficult to choose between the two if I had neither & wanted to purchase just one. If your skin tone is medium-dark then there would be a difference because the Luminous Bronze would inevitably be darker & therefore not the same as its C.T. counterpart. 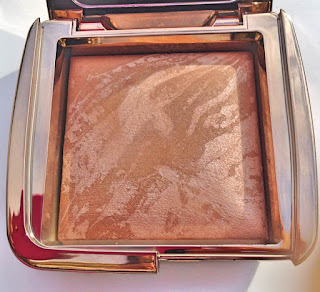 I absolutely adore this bronzer and know I will be reaching for it every time I do my make-up for the foreseeable future. Between this, the blushes, eyeshadows and the primer serum, I am quickly falling in love with Hourglass and would definitely like to try more products from the brand, but will wait until I can get into Space NK in Dublin before doing so to avoid getting ripped off by the exchange rate! I would love to know your recommendations for a good bronzer brush & contour brush please. I still haven't found exactly what I want yet. I'd also love to know if any of you have tried any of the Callanberry brushes because they have been on my radar for a while. 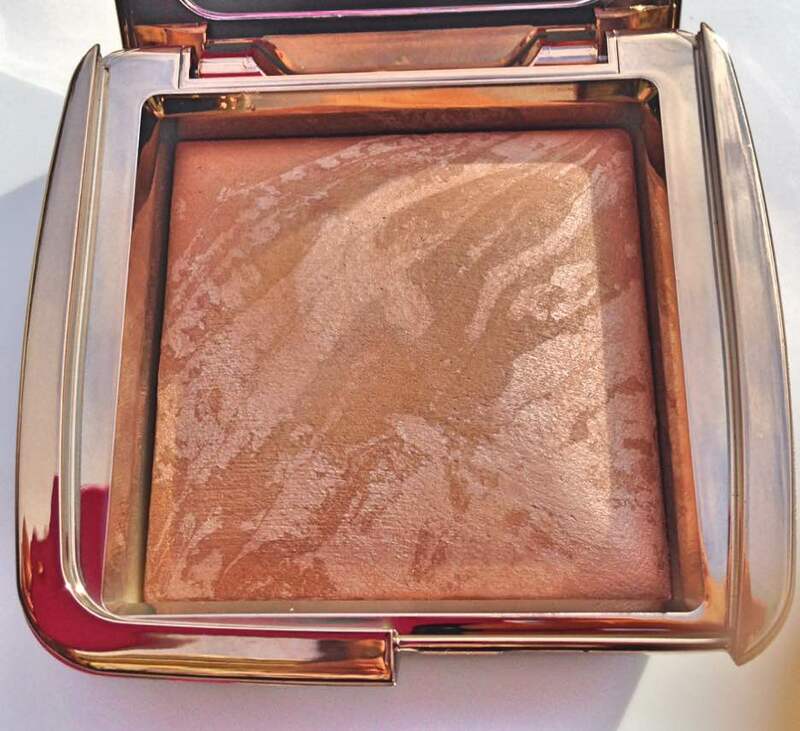 Are you tempted by this beautiful bronzer?